Isn’t the VPN one of the biggest hassles in a company? Not only is it hard to set up and network, but you also have to create users, hand out passwords, and then invariably hand-hold users as they have problems connecting. Then when users do connect, it’s usually slow, adds additional overhead to the login process for the user, and can cause problems when users are on the road. The goal of VPNs made a great deal of sense when the IT landscape was different. A whole category of networking was born around the VPN. IT resources were located on-prem. As users started to become more mobile, they needed to be able to use the on-prem resources. This presented challenges for IT. And the solution to securely access the network became the VPN. As many of the components of an IT infrastructure have moved off-prem and into the cloud, the concept and thought process behind the VPN has changed significantly. Users are accessing web applications or servers via secure browser connections rather than VPNs. However, many organizations still have VPNs to connect users back to the ‘domain’ or the Active Directory® server. In fact, for many organizations, the only reason that their VPN exists is for authentication services. Remote users will authenticate their laptop or desktop to the on-prem, legacy Active Directory instance. That seems like a lot of work for little return. JumpCloud’s cloud identity management platform is eliminating the need for a VPN to connect back to the on-prem directory service. As a cloud identity provider, there is no need for the VPN. And users are still securely authenticated to their systems, applications, and WiFi networks. In fact, even if the user’s internet connection were to fail, the user is still able to log in and continue working without any problems. If your VPN is only there to have your remote users authenticate with an on-prem Active Directory, we can eliminate your VPN! If you do need a VPN for other reasons, JumpCloud’s Directory-as-a-Service® can help simplify the user account process by connecting the VPN to JumpCloud’s cloud directory service. You get all the benefits of centralized provisioning, deprovisioning, and account modification. You can leverage our cloud LDAP functionality and connect it to your VPN. Your users, in turn, get a streamlined experience. 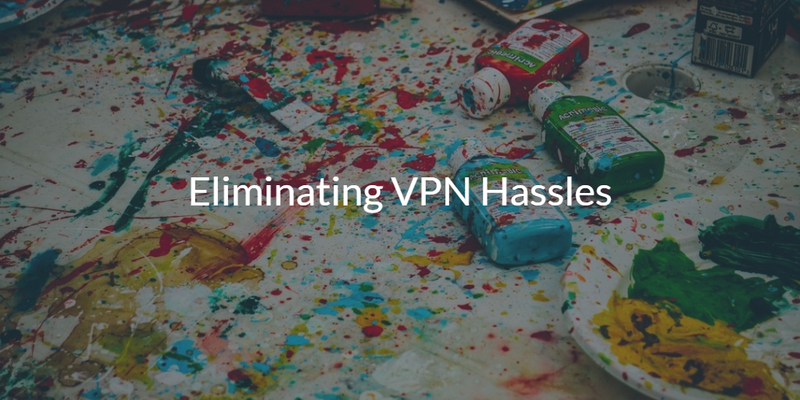 While VPNs have been significant tools for security and accessibility, they have come with a number of challenges. 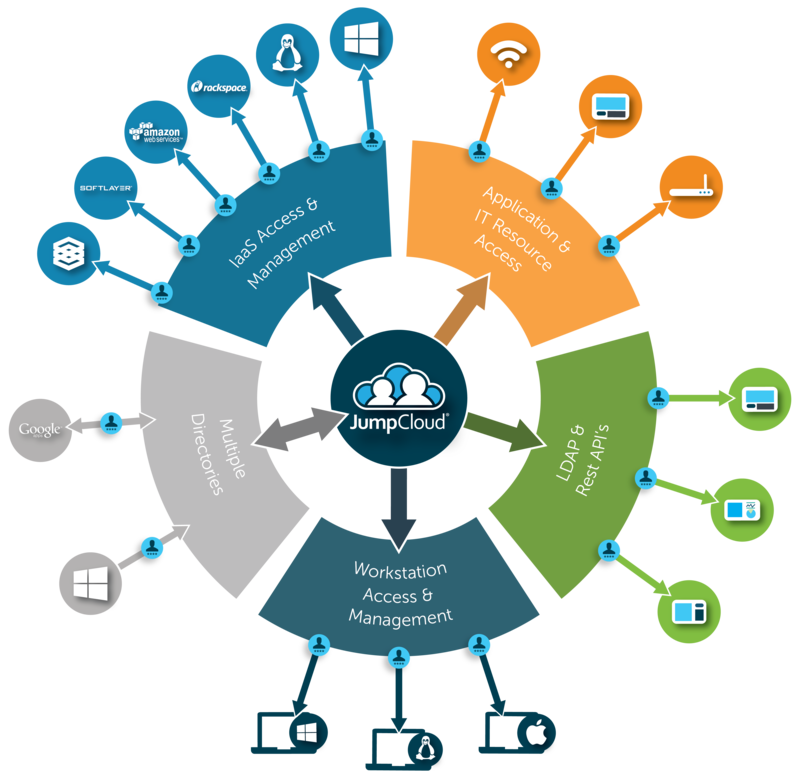 Take a look at JumpCloud and see how you can eliminate the VPN or simplify your management of it. Drop us a note to let us know how we can help. Alternatively, sign up for a free account and check out our cloud RADIUS and hosted LDAP functionality. Your first 10 users are free forever.